Over 150 homeless men, women and children received new items of clothing as part of an initiative by Voice It In Action (VIIA) at the overnight shelter in Kotze street, Braamfontein this past Saturday, April 28. The clothing drive was part of the 200 Celebrity Challenge which invited volunteers to join forces and reach out to the community who were also provided with breakfast on a chilly Johannesburg morning. 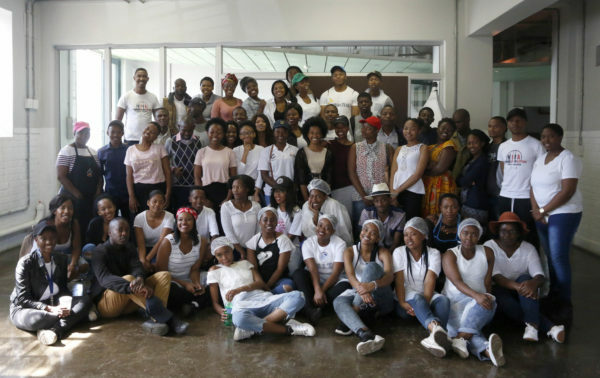 A third-year BCom Law Wits student, Nolwazi Madiya, is part of VIIA and assisted with the clothing drive that was held at some Wits residences. “Wits res’es David Webster and Barnato held a clothes drive for one day and we managed to get a lot of clothes,” she said. Madiya said being involved with VIIA was a lot of work but she loved the opportunity to help people. Siyanda Faku had hopes of working as a chocolatier but finds himself living in a shelter. Photo: Sanet Oberholzer. 23-year-old Siyanda Faku who picked out a jersey for himself said that VIIA’s outreach is different to others he’s seen. “It’s giving food and clothes and it involves youth,” he said. 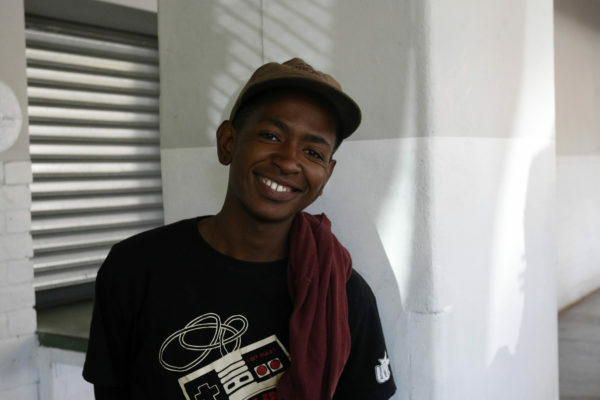 Faku moved to Johannesburg from Cape Town seven months ago with the hopes of starting his own business as a chocolatier but has been living in a shelter in Hillbrow ever since. VIIA was started in 2015 by Kgothatso Moloto following the murder of one of his friends. The organisation aims to curb the heightened violent culture within South African society. Moloto told Wits Vuvuzela that their vision is to empower the people they invite to these events. “We want to empower them to empower other people,” he said. Sipho Maseko, one of the VIIA volunteers, said that the organisation invited the homeless community largely through word of mouth. “When I met someone homeless on the street I would tell them about this. We had posters as well and were sharing on social media,” he said. VIIA has held a number of events, including marches, and will be hosting a similar event in Pretoria. The 200 Celebrity Challenge is something they hope to continue and develop further. They plan to host their next event on June 16.